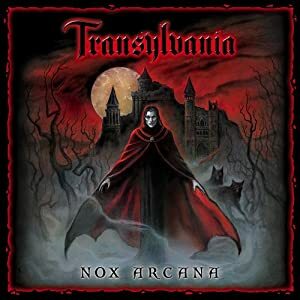 Transylvania is a half-way decent gothic horror album inspired by the themes of the story of Dracula. I would say it makes good filler for a Ravenloft-style campaign, however I would not rely on it for those really important horror moments, instead I would go to something like Dracula by Phillip Glass and the Kronos Quartet. I also want to mention that I actually really like the track “Visitor in the Night” which is just wind effects with creepy whispers. I think it came out really good. “Bats in the Belfry” is another short sound fx track, I think it would be really good if they had expanded on it, making it a few minutes long because repeating just those 36 seconds will get pretty repetitive I imagine. “The Howling” is another sound fx tracks that would be really good if they cut out the spoken word at the end. :( Also like “Bats” it could be expanded a few minutes for optimum awesomeness.